Each extra step increases the ladder length. One step will bring the ladder to 10'2" and 2 steps will bring the ladder to 10'10". For use with LST 27x31. extra step brings ladder to 10'2"
two extra steps brings ladder to 10'10"
Attic Ladder (Additional Step) LSS-38 for LST27 x 31 Each extra step increases the ladder length. One step will bring the ladder to 10'2" and 2 steps will bring the ladder to 10'10". For use with LST 27x31. 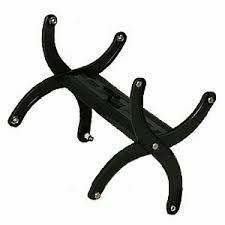 Attic Ladder (Additional Step) LSS-38 for LST27 x 31 is rated 5.0 out of 5 by 2. Rated 5 out of 5 by Sherry from Be sure to order the right size. This was perfect.... Be sure to order the right size. This was perfect.